Black and white image of a team pulling a wagon loaded with large wooden boxes down a dirt street. Notice the street lights hanging over the street, and the power poles lining it. In addition, a windmill stands above one of the buildings. Most of the visible buildings are two-story. A bicycle rests against the porch post of the building in the foreground. 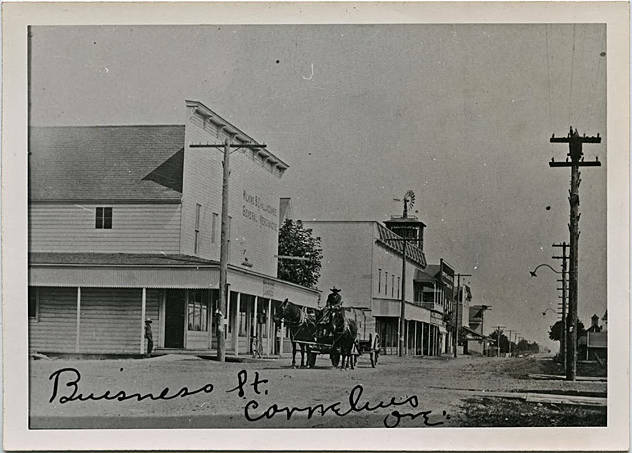 [front] [ink] Business St. Cornelius Ore. [back] This print from 35mm. 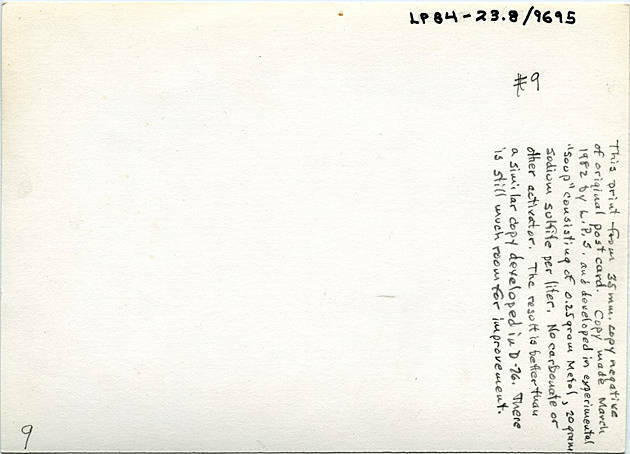 copy negative of original post card. Copy made March 1982 and developed in experimental soup consisting of -.25 gram Metal, 20 grams sodium sulfite per liter. No carbonate or other activator. the result is better than a similar copy developed in D-26. There is still much room for improvement.